Helen is Principal Trombone of the BBC Symphony Orchestra and is a member of the Chamber Orchestra of Europe. 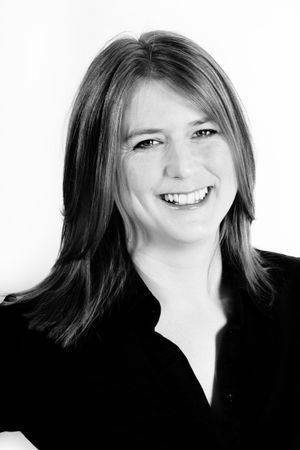 She is a regular guest principal with orchestras and ensembles throughout the UK including the Britten Sinfonia, Scottish Chamber Orchestra and Royal Northern Sinfonia. She studied with Denis Wick before going to the Guildhall School of Music and Drama in London, where she studied with Eric Crees and Simon Wills. During this time she was Principal Trombone of the European Union Youth Orchestra and won the Bronze Medal in the Shell/LSO Music Scholarship. In 2003 she won the Woodwind & Brass Award and Philip Jones Memorial Prize in the Royal Over-Seas League Music Competition. In demand as a teacher, Helen has given classes at the Royal Academy of Music, Guildhall School of Music and Drama, Royal College of Music, Royal Northern College of Music, Royal Conservatoire of Scotland, Trinity Laban Conservatoire of Music and Dance and Wells Cathedral School. She has adjudicated for the BBC Young Musician, Royal Over-Seas League, BBC Radio 2 Young Brass Award, British Trombone Society and International Trombone Association Competitions. She has played on numerous TV and film soundtrack recordings, including Star Wars The Attack of the Clones, three Harry Potter films, Inception, The Ides of March and Brave. She has been a member of Bones Apart since 2007 and arranges much of their concert repertoire. Some of her arrangements are published with BrassWorks, Denis Wick Publishing and Bones Apart Publishing.